Choosing the right type of wine glass to pair with any particular wine doesn’t have to be a difficult process. Understanding the fundamentals of wine glassware and how their unique designs enhance your wine drinking experience is much simpler than you might expect. 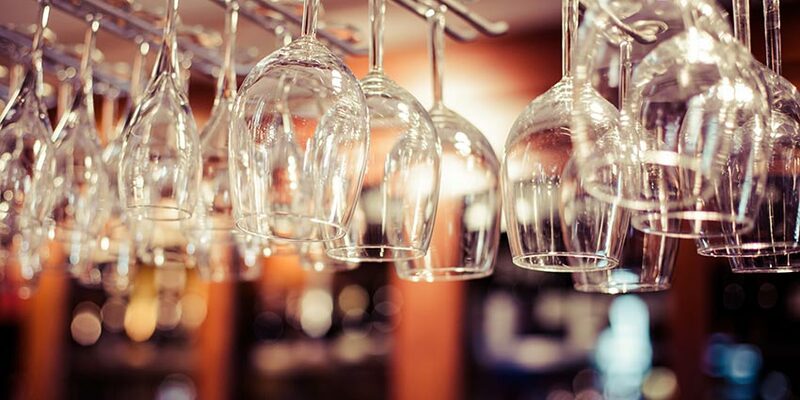 While there are specially designed shapes, sizes, and styles of wine glassware for nearly every varietal of wine, they all fall into one of four basic categories. Let’s take a closer look at the most common types of wine glasses. Red wine glasses are easily identified by their bowl shape. They are often the largest type of wine glass because the larger bowl enhances the bouquet and flavor of red wines. Considering how large the bowl is, you shouldn’t fill the glass more than 1/3 full. Red wine glasses can be broken down into two sub-categories based upon how tapered the rim of the glass is compared to the bowl. For robust, dark red wines a less tapered rim is preferred because it allows you to swirl the wine which will release subtle aromas. A less tapered rim also directs the aromas toward your nose more effectively as you drink. Wine glasses with a less tapered rim are also typically taller which ensures the wine hits the back of your mouth directly to maximize flavor. Merlot, Cabernet, and Bordeaux are all considered dark, robust red wines. Lighter or softer red wines include Pinot Noir, Burgundy, and Syrah. The optimal glassware for softer red wines is more tapering towards the rim. They also often have a larger bowl and are shorter. This design directs the wine to the front of your mouth which makes it easier to taste and identify more delicate flavors associated with softer red wines. White wine glassware can be distinguished from red wine glassware primarily by the bowl. It features more of a U-shape and often a more upright design. The slimmer, U-shaped bowl is used because white wines do not need to be aerated as much as red wines. With the slimmer design, white wine glasses should be big enough so when you pour the wine it doesn’t fill more than 2/3 of the glass. This allows the aromas of the wine to be released while simultaneously helping maintain a cooler temperature. White wine glasses also tend to have longer stems. This makes it easier for you to hold the stem rather than the bowl. By holding the stem, you can minimize the amount of body heat transferred to the wine while drinking it, which helps keep the wine cooler for a longer period of time. As with red wine glasses, there are two sub-categories to consider although their differences are minor. Younger white wines are typically crisper so a glass with a slightly larger opening is preferred. This directs the wine to the tip and sides of your tongue which makes it easier to distinguish the sweetness and crispness. More mature white wines have bolder flavors and a silkier texture. 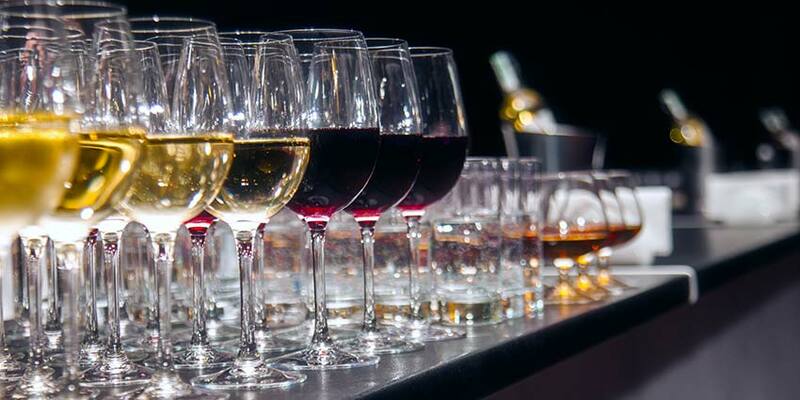 The ideal glass for mature whites is straighter and taller so it can push the wine to the back and sides of the tongue. One of the most easily identified types of wine glassware is the champagne glass. The sparkling wine glass is commonly referred to as a “flute” or a “champagne flute”. However, this type of wine glass is typically used for all sparkling wine, not just exclusively for champagne. With a long stem, the flute is extremely upright and narrow. This design is necessary as the extra surface area within the glass helps capture the carbonation and retain the flavor. Carbonation clings to the side of the glass, which helps keep the wine tasting as it should for a longer duration of time. The slightly smaller rim also helps retain the carbonation within the glass. The narrow opening also allows you to fully appreciate the aroma of your bubbly. You may notice that the stem is slightly longer than a red wine glass, and approximately the same height as a white wine glass. This longer stem allows you to hold the glass in a way that does not transfer body heat from your hand to the sparkling wine. As the name implies, dessert wines are typically served after dinner. Dessert wine is extremely sweet compared to other popular types of wine and often have a higher alcohol content. It’s not uncommon for large servings to quickly overwhelm your palate. As a result, the dessert wine glass will be much smaller than other types of wine glasses. Additionally, dessert wines can come in all shapes and sizes. Common glasses for dessert wines are sippers, port glasses and sherry glasses (pictured to the right). 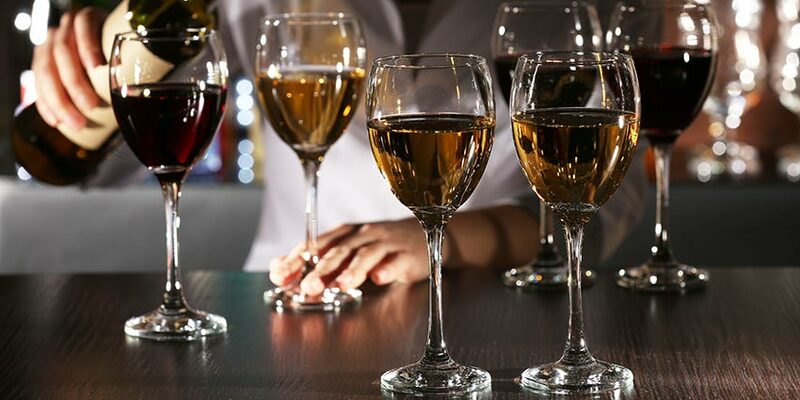 The main characteristic these wine glasses have in common is their small, compact shape that help accentuate the rich aromas and sweet flavors. Like other wine glasses, the short and stout stem is designed to allow you to hold it without your hands warming up and degrading the quality of the wine within. Please note, not all dessert wine glasses will look like the sherry glass pictured here. When looking to start a stemware collection, choosing a set for red and a set for white is the best place to begin. If you drink mostly full-bodied red and white wines, a set of Cabernet or Bordeaux glasses for your reds and a set of Chardonnay or Viognier glasses for your whites is the perfect starting point for you. If you prefer lighter reds and whites, consider getting a set of Pinot Noir or Burgundy glasses for your reds and a set of Sauvignon Blanc or Riesling glasses for your whites. 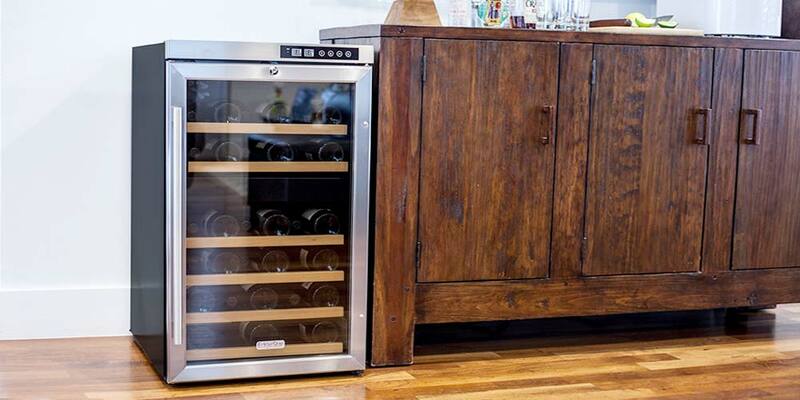 From there, you can build out your collection as your wine enjoyment habits shift and change.